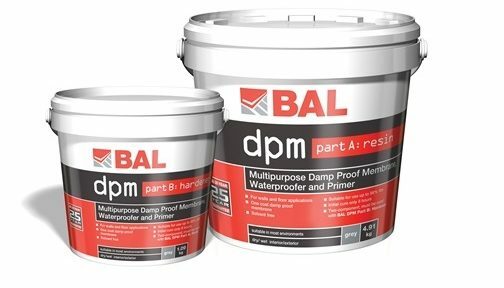 BAL DPM is a must have product for any stockist providing fixers and contractors with an all-in-one DPM, waterproofer and primer. BAL DPM should be recommened where a structural DPM is not present or has degraded over time and is ineffective. Resistant to grease, oil, aqueous salt solutions and hydrostatic pressure, new BAL DPM is perfect for internal or external projects such as subterranean rooms, balconies, marine, plant rooms, sewage plants and swimming/hydrotherapy pools. 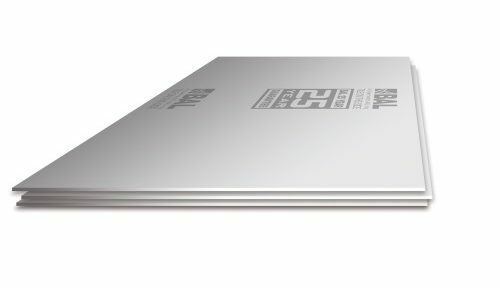 A specialist magnesium oxide tile backer board with BBA and NHBC Approval, BAL Board provides a strong and stable background for wall and floor tiling. Water and mould resistant, it will not swell or degrade over time. Approved by fixers, BAL Board is the strongest on the market supporting up to 100kg/m2 despite being lightweight and easy to carry and install. Scoring significantly higher in end-user trials than alternate leading cement-based boards, BAL Board provides great benefits to the fixer including easier installations (no specialist fixings or cutting tools required), lighter to carry and store, minimal dust when cutting (safer for fixer and environment) plus thermal and mould resistance. What’s more, BAL Board comes with BAL’s leading 25 year guarantee. Specify BAL DPM for new build projects or refurbishments where a strucual DPM is not present or has degraded over time and is ineffective. New BAL is perfect for internal or external projects such as subterranean rooms, balconies, marine, plant rooms, sewage plants and swimming/hydrotherapy pools. BAL DPM protects tiled projects against attack from soluble salts and other pollutants from residual construction moisture or moisture vapour from the earth. With a written 25-year guarantee, BAL gives you peace of mind that your project will last the test of time. Resistant to grease, oil, aqueous salt solutions and hydrostatic pressure, new BAL DPM is an easy to use all-in-one product for various applications and environments that protects tiles from residual construction moisture and continual rising vapour from the earth. Perfect for new build projects or refurbishments where a structural DPM is not present or ineffective. What’s more it can be used a a two-coat waterproofer on walls and floors, and as a primer when sand-blinded on difficult substrates. BAL DPM comes with a written 25 year guarantee. 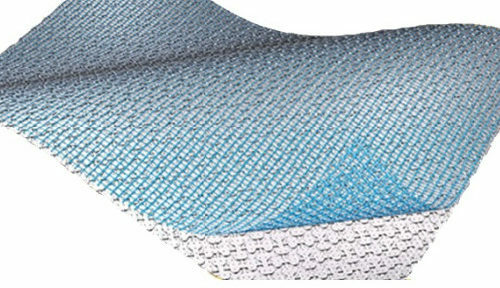 BAL Board is breathable and ensures a healthy, durable environment with an ability to absorb and release moisture. What’s more BAL Board is manufactured with a cold fushion, low carbon manufacturing process which significantly reduces CO2 emissions compared to competitive products. Minimal dust when cutting also means no harm to the fixer or environment. Plus get peace of mind with BAL’s written 25 year guarantee. The perfect tile backer board for walls and floors. 15-35% lighter than cement-based board, BAL Board is easy to store, carry and install – making your life easier. No specialist cutting tools or specialist fixings are required, plus minimal dust when cutting means no harm to the fixer or environment. BAL Board scored significantly higher in end-user trails than alternate leading cement-based boards and comes fully supported with BAL’s trusted 25 year guarantee. Thermal resistance means it is suitable for use with underfloor heating. BAL Tank-it is the ultimate waterproofing kit providing complete protection in any environment. It is suitable for use internally or externally to waterproof areas prior to tiling. Rapid-setting, BAL Tank-it can be tiled after only 90 minutes for fast-track project completion – what’s more no priming or matting is required. Available in a simple two-part mix (plus scrim tape), BAL Tank-it is easy to use and will fully seal walls and floors of total immersion areas such as pools, fountains, spas , balconies and terraces (approved design required). For a total tanking solution then look no further than BAL Tank-it. With EN Classification BS EN 14891, BAL Tank-it is suitable for a wide range of internal and external tiling projects – including total immersion. Easy to use it can be applied simply using a standard notched trowel, brush or roller. As well as outstanding performance, Tank-it comes with a full back-up technical support and a 25 year guarantee for complete peace of mind. A waterproof protection system for walls and floors, BAL Waterproofing Kit provides complete protection of substrates (when used as part of a tanking system) prior to the installation of wall and floor tiles in dry or wet interior environments. Not suitable for exterior use or total immersion, it is recommended for showers, bathrooms, kitchens and laundry/utility room. Includes acrylic-based primer and coating, with polyester tape and matting. If consumers are looking for a complete tanking solution for domestic showers and wetrooms, then look no further than BAL Waterproofing Kit. While not suitable for exterior use or for areas of total immersion, the BAL Waterproofing Kit can be used on most backgrounds and bases. Temperature resistant from -30C to 100C, the waterproof coating is pourable and easy to apply offering significant time savings. BAL’s WP1 coating provides flexible and seamless waterproofing before tiling in showers, bathrooms, kitchens and laundry/utility rooms. WP1 sets in 24 hours and is suitable for use on most substrates in dry or wet interior areas, including areas where movement may occur such as drainage channels, upstands, pipes and floor wastes. If required it may be reinforced with polyester matting and tape. BAL WP1 provides complete waterproof protection when used as part of a tanking system. BAL WP1 is suitable for areas where movement may occur and for preventing water penetration through suspended floors. Available in 8kg packages, or as part of our BAL Waterproof Kit, BAL WP1 is easy to use when applied with a brush or steel float. BAL Waterproof Plus provides the complete waterproofing kit in one bucket. Providing complete waterproof protection for internal and external areas, Waterproof Plus is rapid-setting and can be tiled after two hours. Suitable for domestic and commercial projects, Waterproof Plus is easy to use and has no weight restriction from the use of the product, with the weight allowance dependent on the background or substrate. Distributors should consider recommending BAL Quickset Cement as a fast-track screed for indoor and outdoor installations. Crucially BAL Quickset Cement allows significant time savings to be made on key installations compared with using traditional OPC screeds, for example three weeks on swimming pools or 15 days for underfloor heating. As well as offering outstanding performance, BAL Quickset Cement comes with a 25 year guarantee. BAL Waterproof Plus provides a complete waterproofing kit for the protection of substrates (when used as part of a tanking system) prior to the installation of wall and floor tiles in dry or wet interior or exterior environments. The kit will fully seal walls and floors with an approved design for showers, wet rooms, swimming, hydrotherapy and spa pools, fountains, water features, terraces and balconies. Includes a two-part quick drying cementitious coating product, scrim tape and applicator tool. The complete waterproofing kit in one bucket, BAL Waterproof Plus is a fixer’s dream. Providing complete waterproof protection for internal and external areas, BAL Waterproof Plus is rapid-setting and can be tiled after two hours (at 20°C), with a pot life of 45 minutes. Suitable for domestic and commercial projects, BAL Waterproof Plus is easy to use and has no weight restriction from the use of the product, with the weight allowance dependent on the background or substrate. BAL Waterproofing Kit provides the complete solution when installing showers or wetrooms. While not suitable for exterior use or for areas of total immersion, the Waterproofing Kit can be used on most backgrounds and bases. Temperature resistant from -30C to 100C, the waterproof coating is pourable and easy to apply offering significant time savings. A waterproof protection system for walls and floors, our BAL Waterproofing Kit provides complete protection of substrates (when used as part of a tanking system) prior to the installation of wall and floor tiles in dry or wet interior environments. Not suitable for exterior use or total immersion, it is recommended for showers, bathrooms, kitchens and laundry/utility room. Includes acrylic-based primer and coating, with polyester tape and matting. If you’re looking for a complete tanking solution for domestic showers and wetrooms then look no further than our BAL Waterproofing Kit. Coming in handy 5kg kits for 2.7-3.5m2, additional sizes are also available in 8kg (coating) and 2.5 litre (Prime APD). Dry in 24 hours, the coating can be easily applied with either a brush or steel float. Distributors should consider recomending BAL Prime APD for priming wall and floor backgrounds prior to tiling. As a rapid-drying primer BAL Prime APD produces cost and time savings for projects, stabalising backgrounds in ultra-quick time allowing for tiling with a suitable adhesive in 15-30 minutes. BAL Prime APD is suitable for a variety of projects including walls and floors, worktops, showers, heated screeds and areas with limited movement or vibration. BAL’s WP1 coating provides flexible and seamless waterproofing before tiling in showers, bathrooms, kitchens and laundry/utility rooms. BAL WP1 sets in 24 hours and is suitable for use on most substrates in dry or wet interior areas, including areas where movement may occur such as drainage channels, upstands, pipes and floor wastes. If required it may be reinforced with polyester matting and tape. BAL WP1 provides complete waterproof protection when used as part of a tanking system. WP1 is suitable for areas where movement may occur and for preventing water penetration through suspended floors. Available in 8kg packages, or as part of our Waterproof Kit, BAL WP1 is pourable and easy to use when applied with a brush or steel float. A multi-use synthetic polymer primer and admixture, BAL Bond SBR can be used as a bonding agent for adding to mortars used in screeding, plaster, rendering, bricklaying, pointing and repairs and as a primer for tile fixing onto timber, plaster, screeds, rendering or vinyl tiles. BAL Bond SBR is suitable for swimming pools and as a slurry coat of cement or plaster mix for wall and floor backgrounds. BAL Bond SBR enhances the physical performance of mortars including adhesion, durability, flexibility, waterproofing and workability. Adding BAL Bond SBR helps permit feather edging of repair mortars, and prepares backgrounds and substrates for wall or floor tiling. BAL Bond SBR is also useful as a primer before tile fixing, providing extra protection for peace of mind. Fixers will appreciate BAL Quickset Cement for its versatility and on-site performance, providing a fast-track screed that accepts foot traffic sooner than other products. Crucially on key installations significant time savings are made compared to using traditional OPC screeds, for example three weeks on swimming pool installations or 15 days for under floor heating. It’s improved flexural and compressive strength allowing for learner mix ratios helping to reduce your costs. A pre-mixed rapid-setting polymer-modified cement:sand render mortar, BAL Quickset Render sets in only two hours at bed depth of 2 – 20mm. Suitable for preparing wall surfaces for installing ceramics or natural stone in dry or wet interior or exterior environments, it is also suitable as a patch repair motar. This product can be used on backgrounds including concrete, brickwork, blockwork, lightweight concrete blocks, glazed tiles and plaster surfaces. If you or your tradesman is looking for a rapid-setting render to prepare walls prior to tiling then look no further than BAL Quickset Render. Unlike other renders, Quickset Render is ready-mixed and sets in only two hours, ensuring that jobs can be finished in hours rather than days, saving you time and money. With a pot-life of 30 minutes, Quickset Cement can also be used as a spot-repair mortar for external and internal damage. Recommend BAL Admix AD1 for end-users looking to improve the coverage, adhesion and flexibility of cementitious wall and floor adhesives. Available in 3.5 and 2.5 litre bottles to suit the needs of the customer. Get the job done faster and easier by using BAL Quickset Render to help prepare wall surfaces prior to tiling. Unlike other renders, BAL Quickset Render is ready-mixed and sets in only two hours, giving you the ability to finish jobs in hours rather than days, saving you time and money. With a pot-life of 30 minutes, BAL Quickset Render can also be used as a spot-repair mortar for external and internal damage. BAL Prime APD helps stabilise backgrounds prior to tiling in ultra-quick time, allowing for tiles to be fixed with a suitable adhesive in 15-30 minute and producing significant cost and time savings for your project. BAL Prime APD is suitable for a variety of projects including walls and floors, worktops, showers, heated screeds and areas with some movement or vibration. A water-based polymer additive for cementitious walls and floor grouts, BAL Admix GT1 improves grout flexibility, physical properties and performance and is ideal for use with porcelain tiles. Suitable for use with BAL Grout, and BAL Wide Joint Grout. Not suitable for use with highly polymer-modified cementitious adhesives and ready-mixed products. BAL Admix GT1 is the perfect product to help improve the performance of cementitious BAL wall and floor grouts. Available in handy 2.5 litre and 1 litre, BAL Admix GT1 provides added flexibility and is perfect to add to grouts for use in projects including showers, swimming pools, heated screeds and areas with limited movement or vibration. BAL Primer is a rapid-drying acrylic primer suitable for priming wall and floor backgrounds prior to the fixing of ceramics, mosiacs and natural stone tiles in dry or wet interior and exterior environments. BAL Primer stabalises dusty surfaces and reduces the porosity of backgrounds and may be used undiluted on plaster walls and plasterboard, tongue and groove floorboards and anhydrite screed floors. Use diluted on plaster walls (if dusty or porous) and cement floors. BAL Primer helps stabilise backgrounds prior to tiling in ultra-quick time, allowing for tiles to be fixed with a suitable adhesive in 15-30 minute and producing significant cost and time savings for your project. BAL Primer is suitable for a variety of projects including walls and floors, worktops, showers, heated screeds and areas with some movement or vibration. Perfect for priming walls and floors, BAL Primer offers a number of benefits for the fixer. Available in one litre bottles the product can also be used with BAL levelling compounds and the BAL WP1 Waterproofing Kit for showers. BAL Primer can be used undiluted and diluted and helps stabilise backgrounds prior to tiling in interior or exterior environments. A multi-purpose bonding agent and primer, BAL Bond SBR enhances the physical properties of mortars and helps prime background prior to tiling, leading to significant project savings in time and cost.Bond SBR is suitable for swimming pools and as a slurry coat of cement or plaster mix for wall and floor backgrounds. A must-have for any tiler’s toolkit, BAL Bond SBR enhances the physical performance of mortars including adhesion, durability, flexibility, waterproofing and workability. Adding BAL Bond SBR helps permit feather edging of repair mortars, and prepares backgrounds and substrates for wall or floor tiling. BAL Bond SBR is also useful as a primer before tile fixing, providing extra protection for peace of mind. BAL Tank-it provides complete waterproofing protection for any commercial project – whether internal or external. Conforming to EN classification BS EN 14891, BAL Tank-it is suitable for large scale projects such as swimming pools, balconies, terraces, communal wet rooms and showers. As well as outstanding waterproofing protection, specifiers will receive full technical support, on-site consultancy and 25 year product guarantee. For a total tanking solution for commercial or domestic projects, inside or out, then look no further than BAL Tank-it for ultimate waterproofing protection in any environment. With EN Classification BS EN 14891, BAL Tank-it is suitable for a wide range of internal and external tiling projects – including total immersion. Each component is sold separately allowing for larger mixes for installations such as communal showers, large wet rroms or swimming pools. As well as outstanding performance, Tank-it comes with a full back-up technical support and a 25 year guarantee for complete peace of mind. BAL Admix GT1 is the perfect product to help improve the performance of cementitious BAL wall and floor grouts. Available in handy 2.5 litre and 1 litre bottles, Admix GT1 provides added flexibility and is perfect to add to grouts for use in projects including showers, swimming pools, heated screeds and areas with limited movement or vibration. If your looking to improve the performance of cementitious BAL wall and floor grouts then consider BAL Admix GT1. Available in handy 2.5 litre and 1 litre, BAL Admix GT1 provides added flexibility and is perfect to add to grouts for use in projects including showers, swimming pools, heated screed and areas with limited movement or vibration. The complete waterproofing kit in one bucket, BAL Waterproof Plus is a fixer’s dream. Providing complete waterproof protection for internal and external areas, BAL Waterproof Plus is rapid-setting and can be tiled after less than two hours (at 20oC), with a pot life of 45 minutes. Suitable for domestic and commercial projects, BAL Waterproof Plus is easy to use and has no weight resistriction from the use of the product, with the weight allowance dependent on the background or substrate. A waterproof protection system for walls and floors, our Waterproofing Kit provides complete protection of substrates (when used as part of a tanking system) prior to the installation of wall and floor tiles in dry or wet interior environments. Not suitable for exterior use or total immersion, it is recommended for showers, bathrooms, kitchens and laundry/utility room. Includes acrylic-based primer and coating, with polyester tape and matting. Consider specifying BAL Waterproofing Kit as a complete tanking solution for domestic showers and wetrooms. BAL Waterproofing Kit is recommended for domestic and commercial installations, and while not suitable for areas of total immersion, it can be used on most backgrounds and bases. Temperature resistant from -30C to 100C, the waterproof coating is pourable and easy to apply offering significant time savings for projects. For use as part of tanking system for complete waterproof protection, the BAL Waterproofing Kit is recommended for domestic and commercial installations. While not suitable for exterior use or for areas of total immersion, the BAL Waterproofing Kit can be used on most backgrounds and bases. Temperature resistant from -30C to 100C, the waterproof coating is pourable and easy to apply offering significant time savings. Specify WP1 for use as part of a tanking system for showers and wet rooms. Setting in 24 hours, WP1 helps prevent water penetration through suspended floors and is suitable for most backgrounds. While not suitable for areas of total immersion, WP1 is recommended for waterproofing domestic areas prior to fixing wall and floor tiles. BAL’s WP1 coating provides flexible and seamless waterproofing before tiling in showers, bathrooms, kitchens and laundry/utility rooms. BAL WP1 Coating sets in 24 hours and is suitable for use on most substrates in dry or wet interior areas, including areas where movement may occur such as drainage channels, upstands, pipes and floor wastes. If required it may be reinforced with polyester matting and tape. For use as part of tanking system for complete waterproof protection, BAL WP1 Coating is acrylic-based and is recommended for domestic and commercial installations. While not suitable for exterior use or for areas of total immersion, BAL WP1 can be applied on most backgrounds and bases. Temperature resistant from -30C to 100C, BAL WP1 is pourable and easy to apply offering significant time savings. A fast-setting, rapid-strength, low shrinkage cement for use in screeds and renders, Quickset Cement accepts foot traffic in just three hours and is suitable for installations such as swimming pools or underfloor heating. It has a number of benefits including a 60 minute pot life, and 80% less shrinkage than a standard OPC screed. Quickset Cement is water/frost resistant when set and can be pumped for fast track installation. BAL Quickset Cement provides outstanding on-site performance, accepting foot traffic in just three hours, allowing other trades on-site sooner. Crucially on key installations significant time savings are made compared to using traditional OPC screeds, for example three weeks on swimming pool installations or 15 days for under floor heating. Developed for easy use on commercial site, it’s improved flexural strength allows for leaner mix ratios in certain installations helping to reduce project costs. Offering versality and outstanding on-site performance, specify BAL Quickset Cement as a fast-track screed for your project. Accepting foot traffic in just three hours, BAL Quickset Cement allows significant time savings to be made on key installations compared with using traditional OPC screeds, for example three weeks on swimming pools or 15 days for underfloor heating. As well as offersing outstanding performance, Quickset Cement comes with a 25 year guarantee. A pre-mixed rapid-setting polymer-modified cement:sand render mortar, Quickset Render sets in only two hours at bed depth of 2 – 20mm. Suitable for preparing wall surfaces for installing ceramics or natural stone in dry or wet interior or exterior environments, it is also suitable as a patch repair motar. This product can be used on backgrounds including concrete, brickwork, blockwork, lightweight concrete blocks, glazed tiles and plaster surfaces. Drying in only two hours, Quickset Render provides a fast-track solution for preparing walls prior to tiling, helping to reduce overall project costs and offering significant time savings for installations. Suitable for interior and exterior surfaces, Quickset Render is multi-use and can also be utilised as a spot-repair mortar. Pre-mixed and coming in 25kg bags, Quickset Render can be used in wet or dry conditions and has a pot life of 30 minutes. BAL Prime APD is a rapid-drying acrylic primer suitable for priming wall and floor backgrounds prior to the fixing of ceramics, mosiacs and natural stone tiles in dry or wet interior and exterior environments. BAL Primer stabalises dusty surfaces and reduces the porosity of backgrounds and may be used undiluted on plaster walls and plasterboard, tongue and groove floorboards and anhydrite screed floors. Use diluted on plaster walls (if dusty or porous) and cement floors. 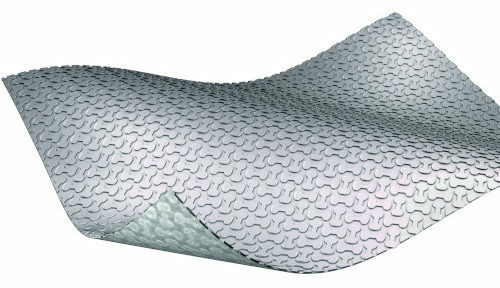 Consider specifiing BAL Prime APD as part of the complete tiling solution for your project. Rapid-drying, BAL Prime APD is suitable where fast-track installation is required, as it allows for tiling in 15-30 minutes outperforming similar products. Include BAL Prime APD in your M40 or M20 specification for wall and floor tiling projects, showers, work tops, and areas with underfloor heating. Suitable for internal and external projects. As a rapid-drying primer, BAL Prime APD produces cost and time savings for your project, stabiling backgrounds in ultra-quick time allowing for tiling with a suitable adhesive in 15-30 minutes. BAL Prime APD is suitable for a variety of projects including walls and floors, worktops, showers, heated screeds and areas with limited movement or vibration. Typical coverage of BAL Prime APD is 5-10m² per litre undiluted, 10-20m² per litre diluted 1:1 with water. Consider specifiing BAL Primer as part of the complete tiling solution for your project. Rapid-drying, BAL Primer is suitable where fast-track installation is required, as it allows for tiling in 15-30 minutes outperforming similar products. Include BAL Primer in your M40 or M20 specification for wall and floor tiling projects, showers, work tops, and areas with underfloor heating. Suitable for internal and external projects. As a rapid-drying primer, BAL Primer produces cost and time savings for your project, stabiling backgrounds in ultra-quick time allowing for tiling with a suitable adhesive in 15-30 minutes. BAL Primer is suitable for a variety of projects including walls and floors, worktops, showers, heated screeds and areas with limited movement or vibration. Typical coverage of BAL Primer is 5-10m² per litre undiluted, 10-20m² per litre diluted 1:1 with water. BAL Bond SBR should be specified for projects requiring priming prior to tile fixing, such as timber, plaster, screed, rendering or vinyl tiles. Consider BAL Bond SBR for priming large interior or exterior projects including swimming pools or as a bonding agent for mortars. Consider including BAL Bond SBR in your M40 or M20 specification for complete peace of mind. As a multi-purpose bonding agent and primer, BAL Bond SBR produces time and cost savings for your project. Use as a bonding agent and admixture to enhance the physical properties of mortars including adhesion, durability, flexibility, waterproofing and workability. BAL Bond SBR is also suitable as a primer prior to fixing on a variety of substrates, giving you peace of mind that your project will last the test of time. Available in 5 litre and 1 litre bottles to suit your need. A water-based polymer additive for cementitious walls and floor adhesives, Admix AD1 improves adhesion and flexibility, enhancing physical properties and performance. Suitable for use with CTF4, Rapidset and Supercover Rapidset. Not suitable for use with highly polymer-modified cementitious adhesives and ready-mixed products. It may be useful to consider specifying BAL Admix AD1 if your project requires the use of standard cementitious wall and floor tile adhesives. BAL Admix AD1 improves adhesion and flexibility of products including, CTF4, Stone and Tile PTB, Rapidset, Rapidset Flexible Fibre (diluted 1:3 with water), and Supercover Rapidset. A water-based polymer additive for cementitious walls and floor adhesives, BAL Admix AD1 improves adhesion and flexibility, enhancing physical properties and performance. Suitable for use with Gold Star, CTF4, Rapidset and Supercover Rapidset. Not suitable for use with highly polymer-modified cementitious adhesives and ready-mixed products. Improving adhesion and flexibility of cementitious wall and floor adhesives, BAL Admix AD1 is ideal for use with porcelain tiles. Helps improve performance of wall and floor adhesives in dry, wet, interior or exterior environments. Save project costs with BAL Admix GT1 which helps improve the performance of cementitious BAL wall and floor grouts. Available in handy 2.5 litre and 1 litre, BAL Admix GT1 provides added flexibility and is perfect to add to grouts for use in projects including showers, swimming pools, heated screed and areas with limited movement or vibration.